Most video tapes start to deteriorate after 10 years. Have them converted to digital before they fade away! even your 8mm, 16mm, and 35mm film reels! We also do custom editing so you can have the perfect video with only the parts you want. 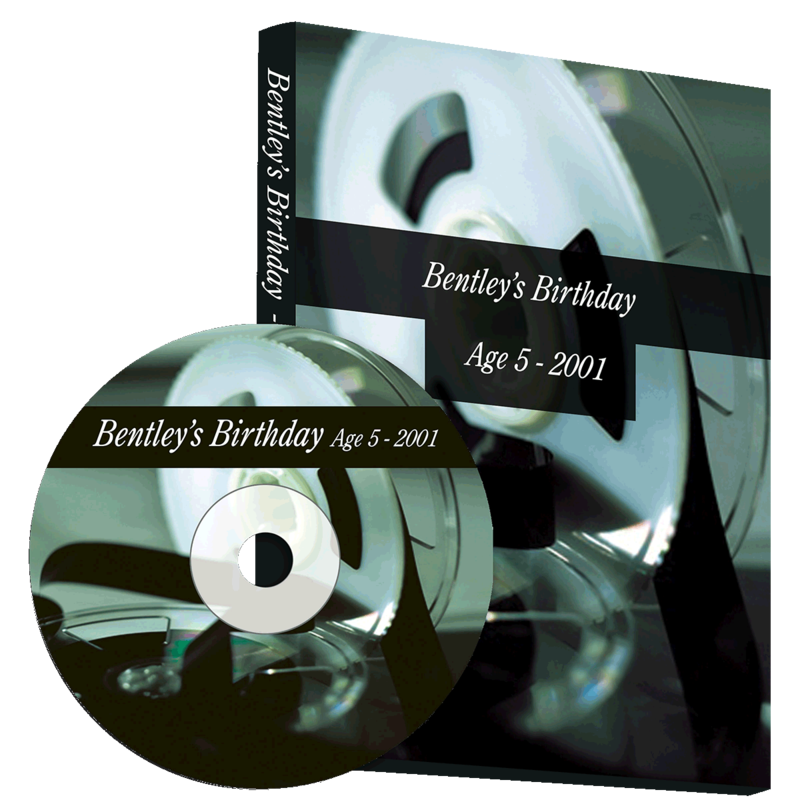 Typical output formats include WAV, MP3 and WMA. Other formats available upon request. 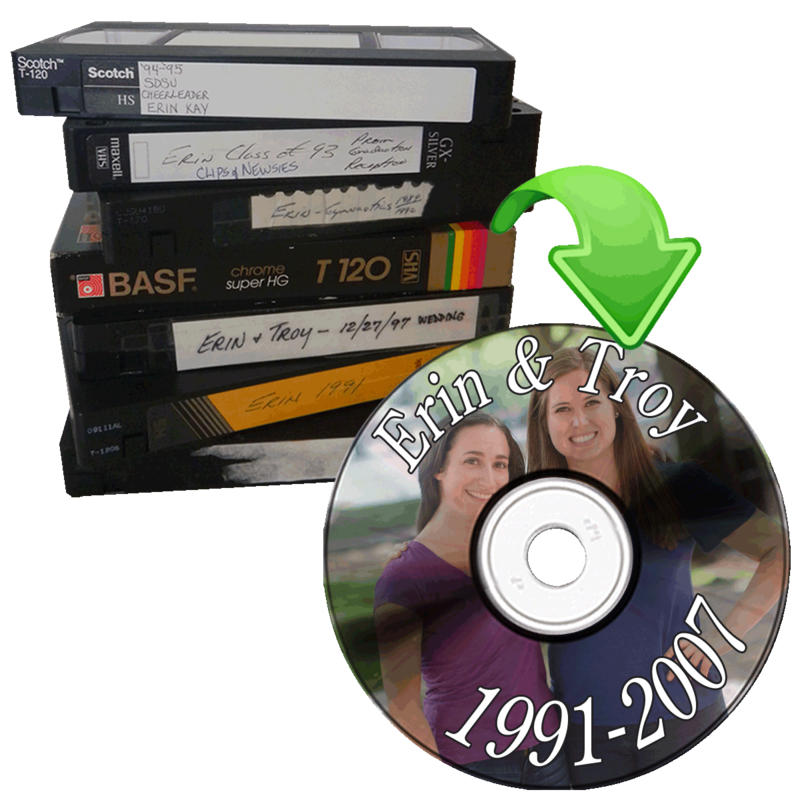 We format your videos to work in most DVD players, or we can save the digital files on your portable storage device! 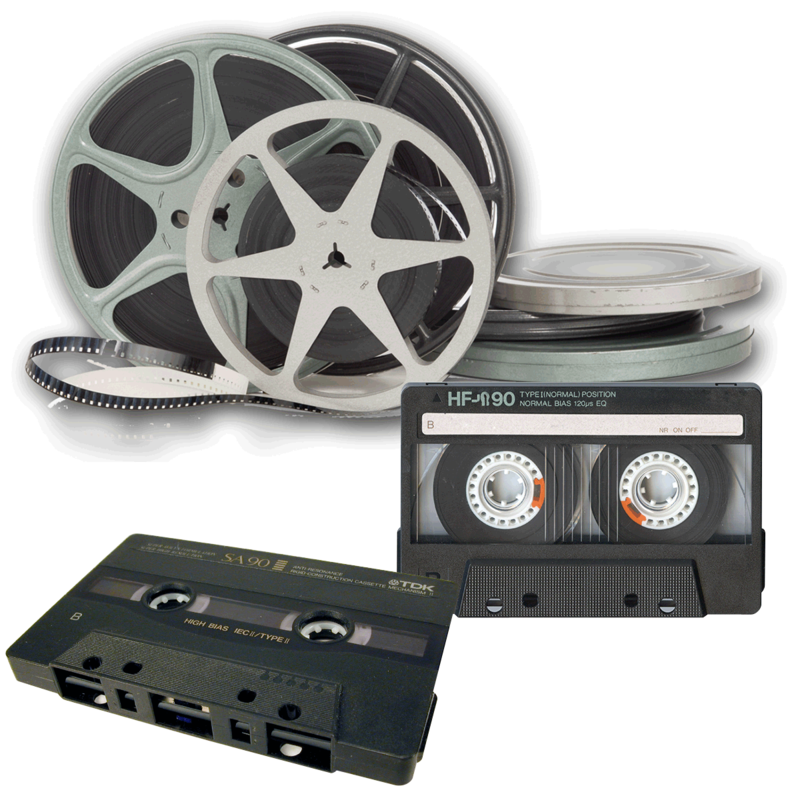 We can also convert video tapes and film to a digital file so you can edit and play them on your computer. All video tape conversions are done by us on the premises! Film conversions are done for us offsite.